Policosanol is a mixture of alcohols extracted from sugar cane wax, wheat germ, rice bran or beeswax. It is sold by many companies that advertise its lipid-lowering effects. Several animal and human studies have purported that Cuban sugar cane-derived policosanol significantly lowers total cholesterol and low density lipoprotein cholesterol, or LDL. Additionally, studies have demonstrated that it is a potent antioxidant, inhibits platelet aggregation and is effective in treating cramping muscle pains from poor circulation. Almost all studies that claim Cuban sugar cane-derived policosanol has therapeutic benefits were conducted by one research group in Cuba. Other studies conducted in other countries have demonstrated in clinical trials that Cuban sugar cane-derived policosanol does not act as an antioxidant or lower cholesterol. 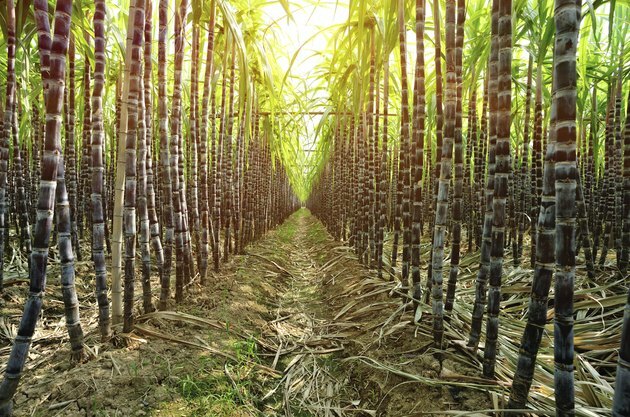 More than 80 studies have been published on sugar cane-derived poliocosanol by a research group at the Medical Surgical Research Center in Havana, Cuba. Results from these studies demonstrated that daily doses of 5mg to 20mg of policosanol lower cholesterol and LDL and increase high-density lipoprotein, or HDL. These effects were observed in healthy volunteers, type 2 diabetics, patients with hypercholesterolemia and postmenopausal women with hypercholesterolemia. In several studies policosanol also decreased platelet aggregation and blood vessel damage. The Cuban research group that has conducted numerous studies on policosanol holds a patent for the sugar-cane derived policosanol. To confirm the results of the Cuban studies, a clinical trial was conducted in many medical centers in Germany and results were reported in the May 2006 issue of the “Journal of the American Medical Association.” In this multi-center clinical trial Cuban sugar cane–derived policosanol was not effective in lowering lipids or cholesterol. A second clinical study conducted in Italy and published in “Complementary Therapies in Medicine” also reported that Cuban sugar cane–derived policosanol did not lower lipids or affect cholesterol levels in people with hypercholesterolemia. Another study conducted in the Netherlands reported in the journal, “Metabolism” that policosanol derived from wheat-germ failed to decrease cholesterol and lipids in patients with normal to mild elevated cholesterol. Multiple Cuban studies found that policosanol acts as a blood thinner by decreasing platelet aggregation. A study conducted in Australia and published in the May 2010 issue of the “British Journal of Clinical Pharmacology” reported that policosanol had no effect on platelet aggregation in healthy subjects and did not affect the actions of the blood thinner, warfarin. One non-Cuban study reported small benefits of policosanol in individuals with Parkinson's disease. This study also noted that policosanol increased the side effects of levodopa, which is the standard drug used to treat patients with Parkinson’s disease. Cuban studies reported that less than 1 percent of patients using policosanol had adverse side effects. The reported side effects included headache, indigestion, excessive urination, skin rash, insomnia, and weight loss. Additionally, animal toxicity studies, also conducted in Cuba, using several hundred times the therapeutic dose of policosanol demonstrated that policosanol is not a carcinogen and does not affect reproduction, growth or development. What Are the Health Benefits of Octacosanol?